The Klidi Pass is between 100 metres (0.062 mi) and 500 metres (0.31 mi) wide, a winding defile, with steep, rocky and treeless sides up to 1,000 metres high. On April 11, Vasey's three infantry battalions were spread across a 16 kilometres (9.9 mi) wide front: the 2/8th Battalion was on the ridge to the east of the pass, the 1st Rangers was on a north-facing spur on the western side, and the 2/4th Battalion was to the west of the Rangers. 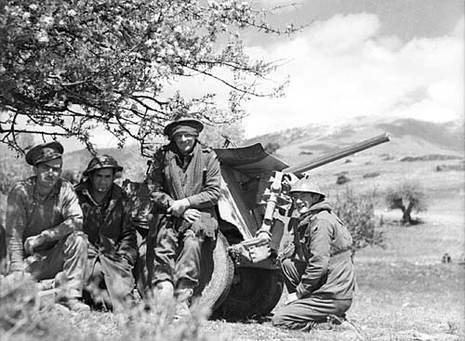 New Zealand machine gunners were distributed among the infantry. Allied artillery was concentrated in the pass itself. Conditions at the top of the pass were "bitterly cold", with rain turning into snowstorms, hindering the ability of the Allied infantry to sleep. 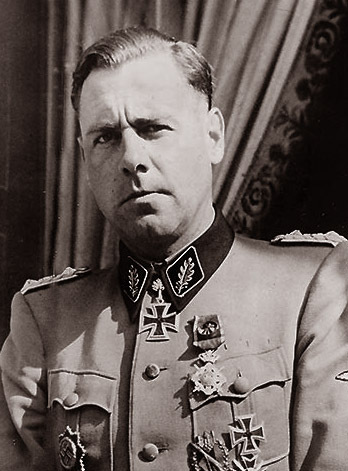 In all his insolence [the German commander sent] trucks down the main road ... to within 3000 yards of our infantry, and proceeded to debus [i.e. disembark]. At first I could not believe it was an enemy, all had been so still and quiet. Then came some sense. My orders flew over the wire and the first rounds screamed through the air... A few furious moments and back went the Hun [i.e. Germans], but five trucks stayed in the road as silent witness that my Troop could shoot. More prolonged skirmishes were directed at the positions of the 2/8th Battalion. These became more aggressive as night closed in. In the words of the Australian War Memorial: "[d]espite being strung out and exhausted from a long march to the position and bitterly cold weather, the 2/8th managed to fend them off." On the morning of April 12, snow lay over 30 centimetres (0.98 ft) deep on the hillsides. By dawn, many of the Australians and New Zealanders stationed in the heights were suffering from frostbite and were unable to operate their weapons effectively. However, orders had now been issued for an orderly withdrawal to the Aliakmon line, to begin that evening. 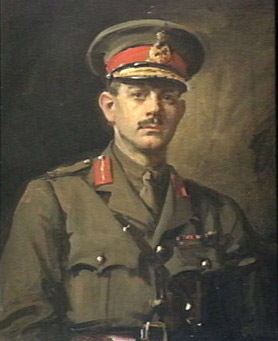 At 2:00 pm ... Lieut-Colonel [John] Mitchell of the 2/8th ... ordered a counter-attack which regained some vital ground on top of the ridge... After six hours of intermittent fighting in the pass and on the slopes to the east, the 2/8th still held the heights though their left had been mauled; the Rangers, however, were rallying astride the road about two miles to the rear, but five of the six supporting guns of the 2/1st Anti-Tank Regiment had been left without protection and abandoned. Thus the ridge held by the 2/8th formed a deep salient. According to Long, Vasey was informed of the Rangers' withdrawal by officers from other units, but refused to believe it. By 4 pm, the Greek Dodecanese Regiment, to the east of the Australian positions, had completed a withdrawal planned by the Allied high command. This left the 2/8th exposed on two flanks, and it was soon coming under machine gun fire from the east. 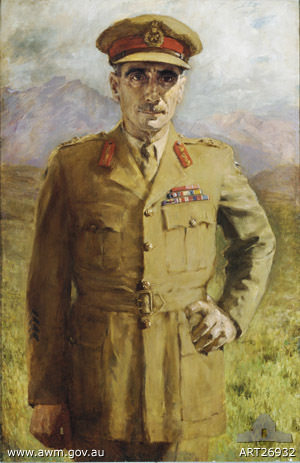 According to an official Australian account, Vasey "realised his men were not going to be able to stage an orderly withdrawal. At 5.00 pm he telephoned the commanding officer of the 2/4th Battalion ... with the code phrase indicating that a pull-out was now vital — "the roof is leaking." the heavy Sturmgeschütze[n] climbed the slopes from the bottom of the valley. We watched the guns advance in amazement. They climbed higher and higher, and then joined the fight. Nobody [had] thought it possible to use them, but now they were up there, giving valuable support to the infantry. This effectively sealed the Allies' defeat at Vevi. The 2/8th Battalion was forced into a chaotic retreat, with component units being separated and officers ordering the abandonment even of light weapons, to speed the withdrawal. Losses among the Australian infantry would have been much worse it were not for the 2/1st Anti-Tank Regiment and the Royal Horse Artillery standing their ground in the centre, until the Germans were only 400 metres away. 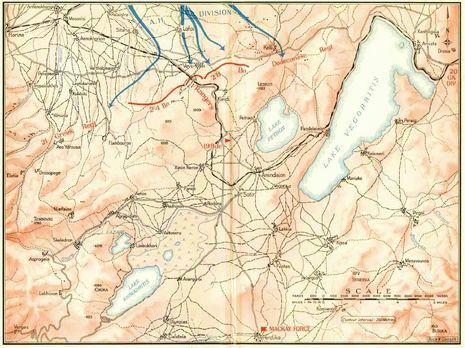 German troops closed with the forward positions at Vevi on 11 April and began a series of attacks that afternoon - cautious at first, but increasingly bold and aggressive as night closed in. These attacks were directed mainly at the positions of the 2/8th Battalion. Despite being strung out and exhausted from a long march to the position and bitterly cold weather, the 2/8th managed to fend them off. The main German attack was launched on the morning of 12 April. After a few hours, the Rangers withdrew, opening a gap between the 2/4th and 2/8th Battalions, which the Germans began to exploit.